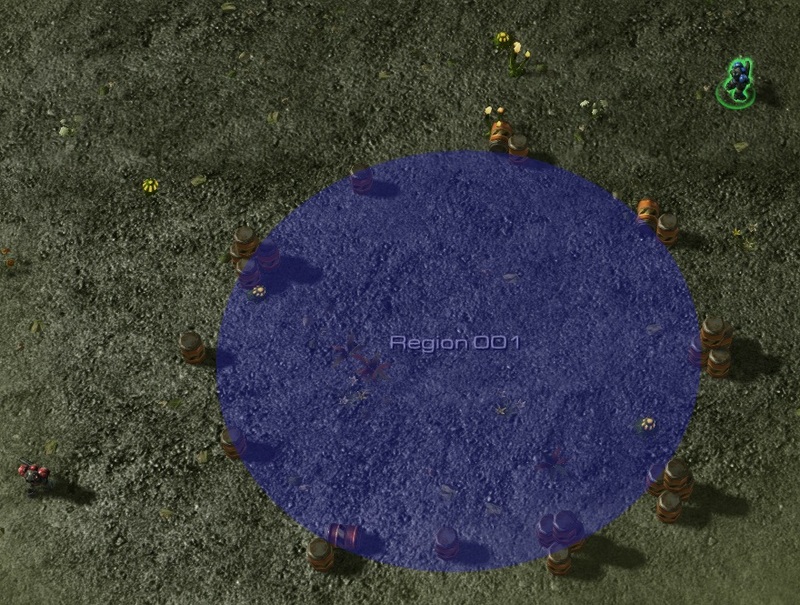 Being able to render the fog of war of each player at any time, for replays and debug. Being able to combine multiple players' visions for alliances, spectator mode or watching replays. 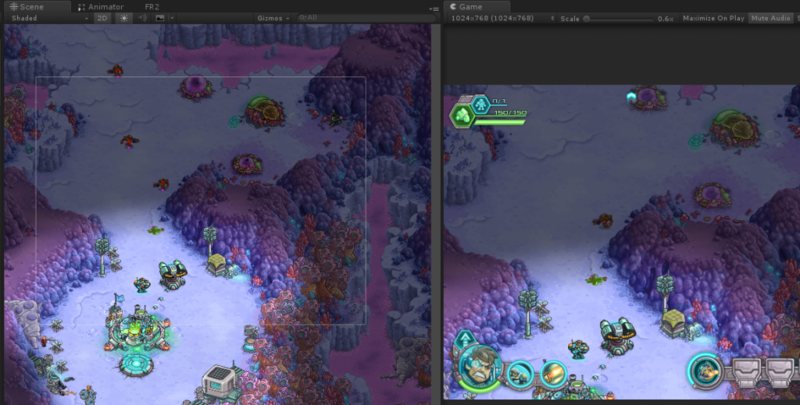 Blocking vision by different terrain heights or other elements like bushes. 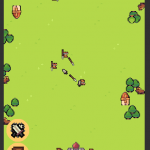 Optimized to support 50+ units at the same time in mobile devices at 60FPS. 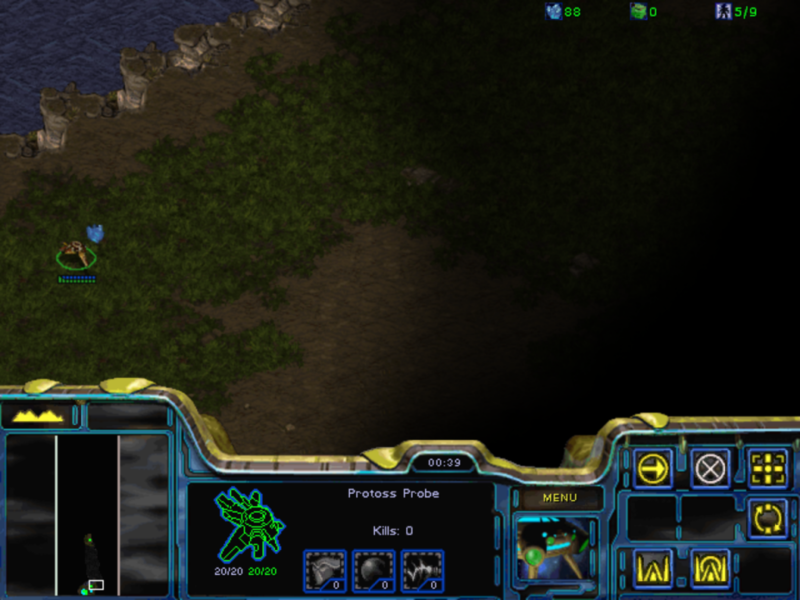 It should look similar to modern games like Starcraft 2 and League of Legends (in fact, SC2 is already eight years old, not sure if that is consider a modern game or not :P). 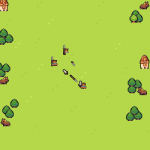 To simplify a bit writing this article, when I write unit I mean not only units but also structures or anything that could affect the fog of war in the game. Normally, a game will have one for each unit but there could be cases where a unit could have more (for example a large unit) or even none. A bit mask is used to specify a group of players, so for example, if player 0 is 0001 and player1 is 0010, then 0011 means the group formed by player0 and player1. Since it is an int, it supports up to ~sizeof(int) players. Most of the time the group would contain only one player but there might be some situations, like a general effect or cinematic, etc, that needs to be seen by all players and one possible solution is to use a unitVision with more than one player. The terrainHeight field stores the current height of the unit and it is used for blocking vision or not. 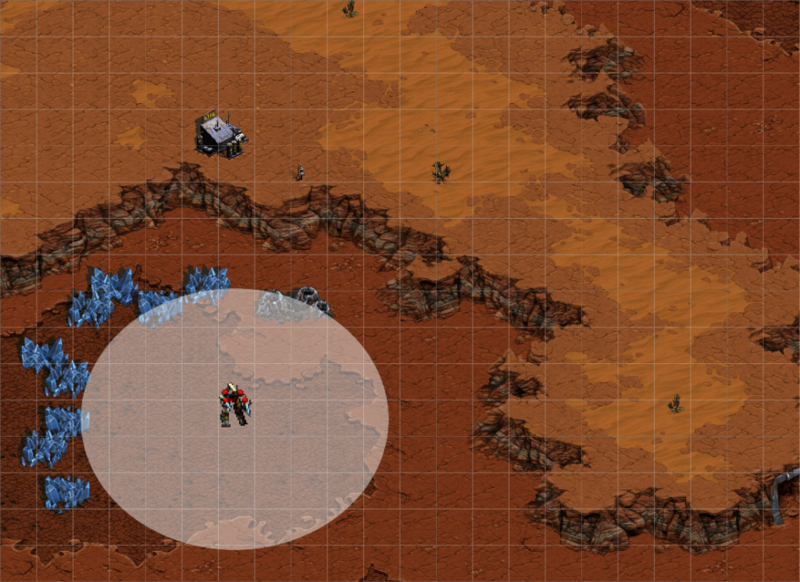 It normally will be the world terrain's height on that position if it is a ground unit but there are cases like flying units or special abilities that could change the unit height that should be consider when calculating blocked vision. It is the game's responsibility to update that field accordingly. // bits representing which players have this entry in vision. // that entry at some point in time. Note: arrays have a size of width * height. 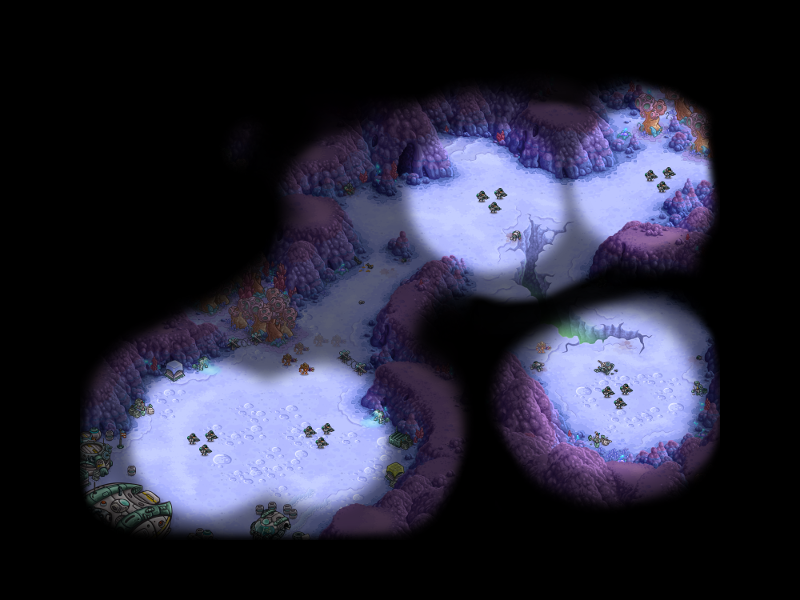 The bigger the grid is, the slower it gets to calculate vision but it also has more information which could be useful for units' behaviors or to get better fog rendering.The smaller the grid is, the opposite. A good balance must be defined from the beginning in order to build the game over that decision. 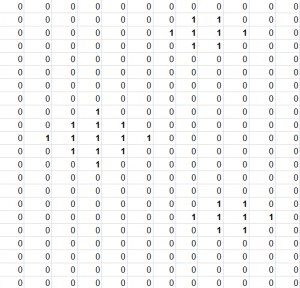 Given a grid entry for a world position, the structure stores an int in the values array with the data of which players have that position inside vision. For example, if the entry has 0001 stored, it means only the player0 sees that point. If it has 0011, then both the player0 and player1. 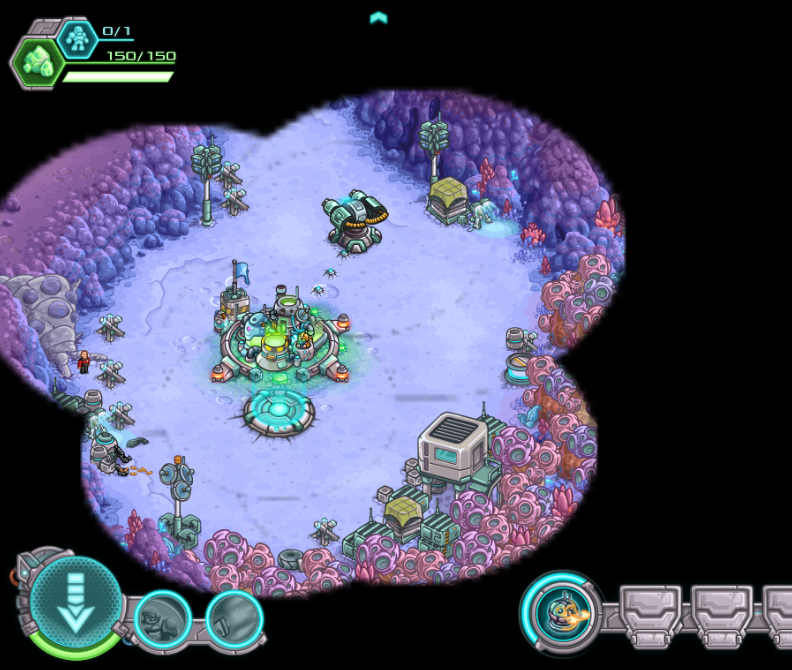 This structure also stores when a player revealed fog in the past in the visited array which is used mainly for rendering purposes (gray fog) but could also be used by the game logic (to check if a player knows some information for example). The method IsVisible(i, j, players) will return true if any of the players in the bit mask has the position visible. The method WasVisible(i, j, players) is similar but will check the visited array. 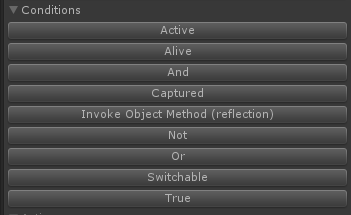 So, for example, if player1 and player2 (0010 and 0100 in bits) are in an alliance, then when player2 wants to know if an enemy is visible to perform an attack, it can call isVisible method with the bitmask for both players 0110. 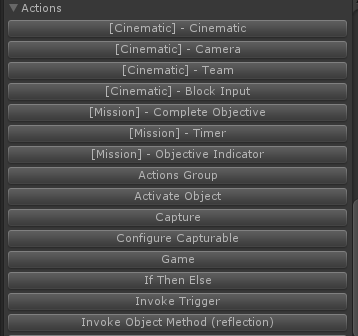 Each time the vision grid is updated, the values array is cleared and recalculated. To iterate over grid entries inside range, it first calculates vision's position and range in grid coordinates, named gridPosition and gridRange, and then it draws a filled circle of gridRange radius around gridPosition. Note: that image is handmade as an example, there might be some mistakes. While iterating through the vision's grid entries around unitVision's range, to detect if the entry is visible or not, the system checks if there are no obstacles to the vision's center. To do that, it draws a line from the entry's position to the center's position. If all the grid entries in the line are in the same height or below, then the entry is visible. Here is an example where the blue dot represents the entry being calculated and white dots the line to the center. If there is at least one entry in the line that is in a greater height, then the line of sight is blocked. Here is an example where the blue dot represents the entry we want to know if it is visible or not, white dots represents entries in the line in the same height and red dots represents entries in a higher ground. Once it detects one entry above the vision it doesn't need to continue drawing the line to the vision center. If an entry was already marked as visible while iterating over all unit visions then there is no need to recalculate it. 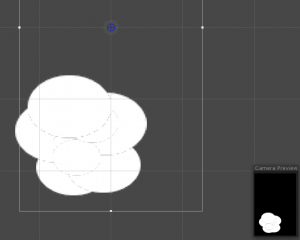 Reduce the size of the grid. 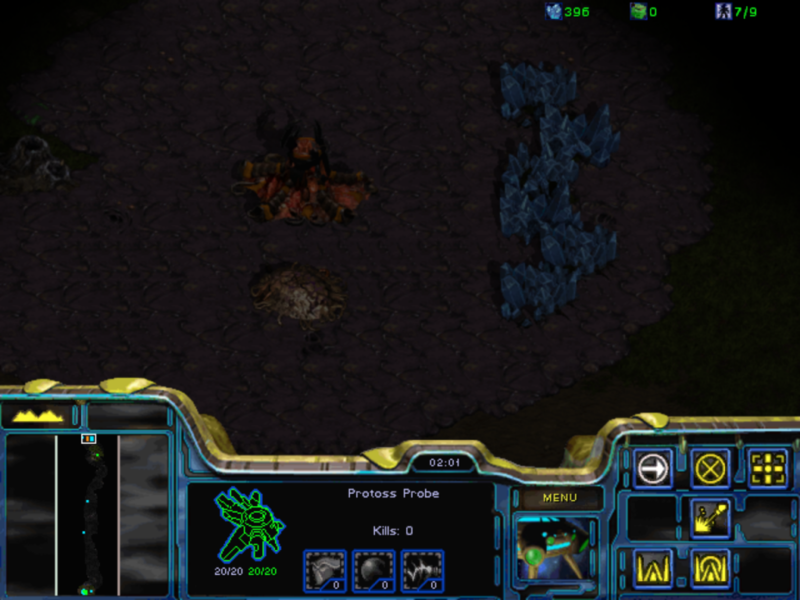 Update the fog less frequently (In Starcraft there is a delay of about 1 second, I recently noticed while playing, it is an old game). 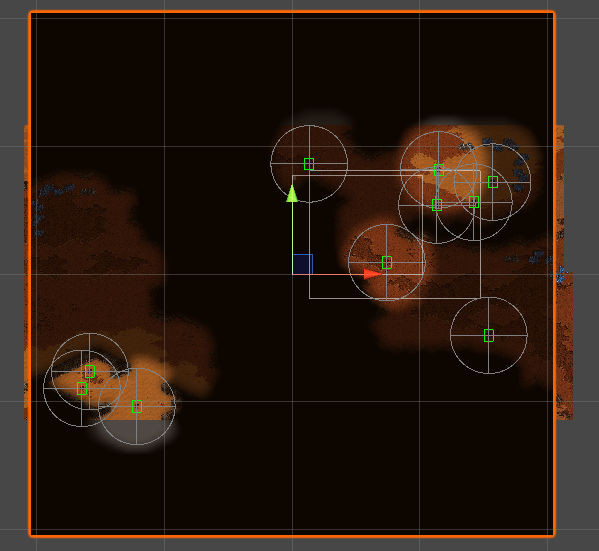 To render the Fog of War, first I have a small texture of the same size of the grid, named FogTexture, where I write a Color array of the same size using the Texture2D.SetPixels() method. 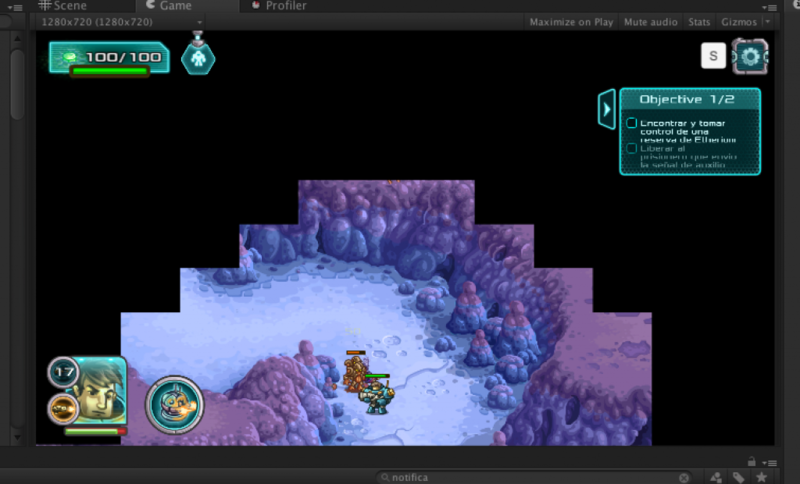 The field activePlayers contains a bit mask of players and it is used to render the current fog of those players. It will normally contain just the main player during game but in situations like replay mode, for example, it can change at any time to render different player's vision. 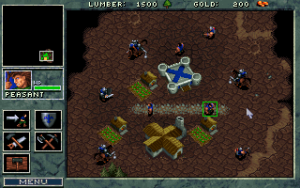 In the case that two players are in an alliance, a bitmask for both players can be used to render their shared vision. 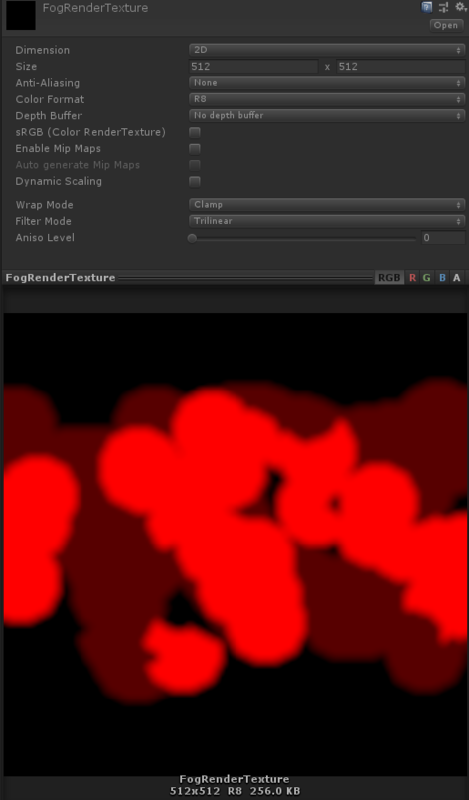 After filling the FogTexture, it is rendered in a RenderTexture using a Camera with a Post Processing filter used to apply some blur to make it look better. This RenderTexture is four times bigger in order to get a better result when applying the Post Processing effects. 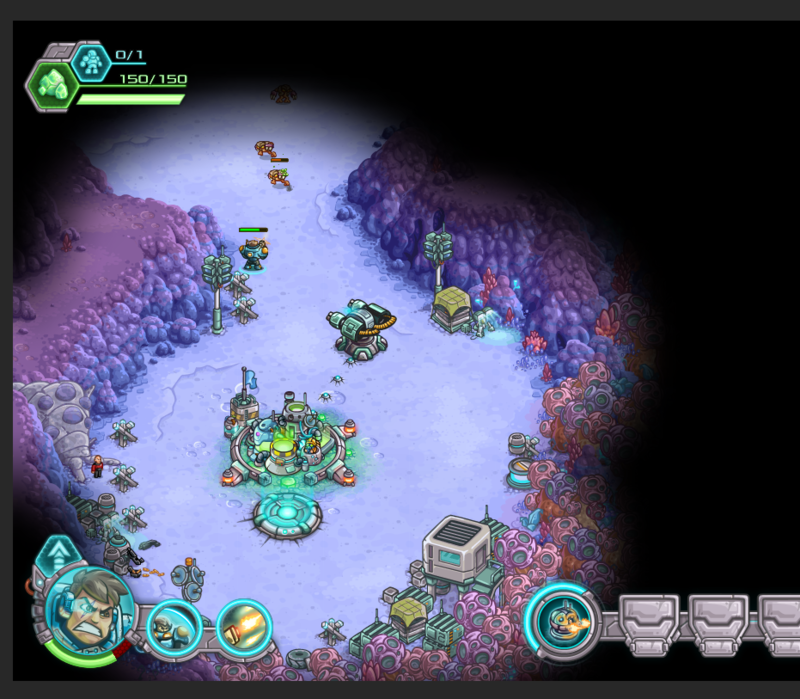 Once I have the RenderTexture, I render it over the game with a custom shader that treats the image as an alpha mask (white is transparent and black is opaque, or red in this case since I don't need other color channels) similar to how we did with Iron Marines. 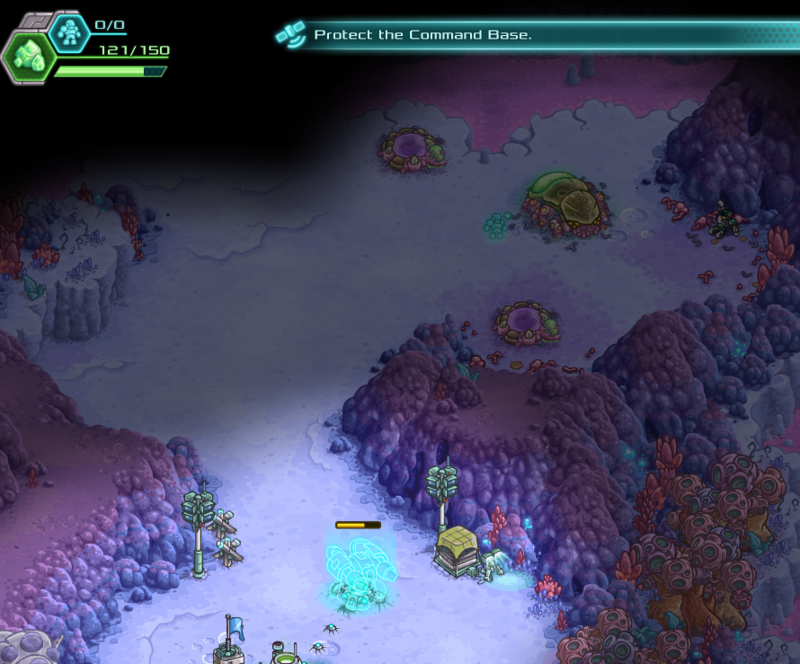 There are some cases when the fog texture changed dramatically from one frame to the other, for example when a new unit appears or when a unit moves to a higher ground. For those cases, I added easing on the colors array, so each entry in the array transitions in time from the previous state to the new one in order to minimize the change. It was really simple, it added a bit of performance cost when processing the texture pixels but in the end it was so much better than I preferred to pay that extra cost (it can be disabled at any time). 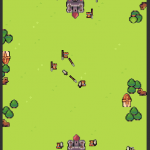 At first I wasn't sure about writing pixels directly to a texture since I thought it would be slow but, after testing on mobile devices, it is quite fast so it shouldn't be an issue. 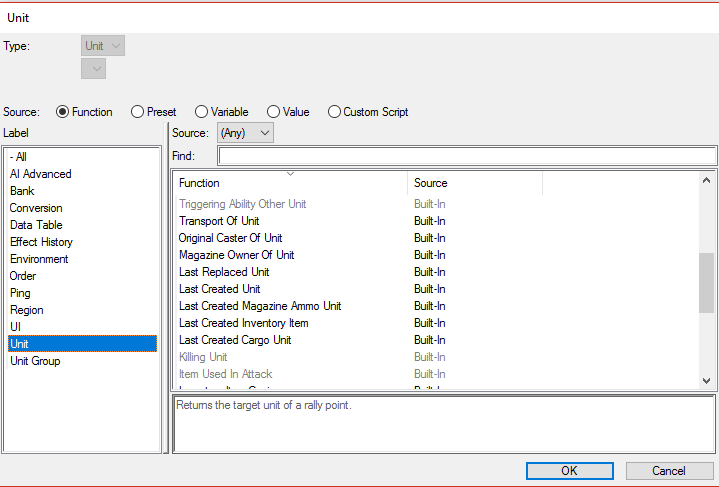 To know if a unit is visible or not, the system checks for all the entries where the unit is contained (big units could occupy multiple entries) and if at least one of them is visible then the unit is visible. This check is useful to know if a unit can be attacked for example. 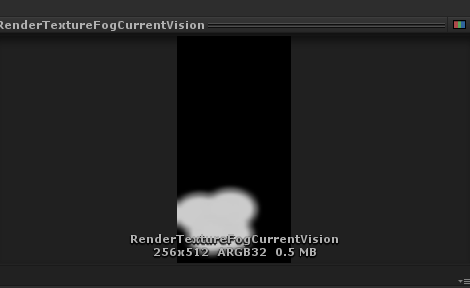 Which units are visible is related with the fog being rendered so we use the same activePlayers field to check whether to show or hide a unit. 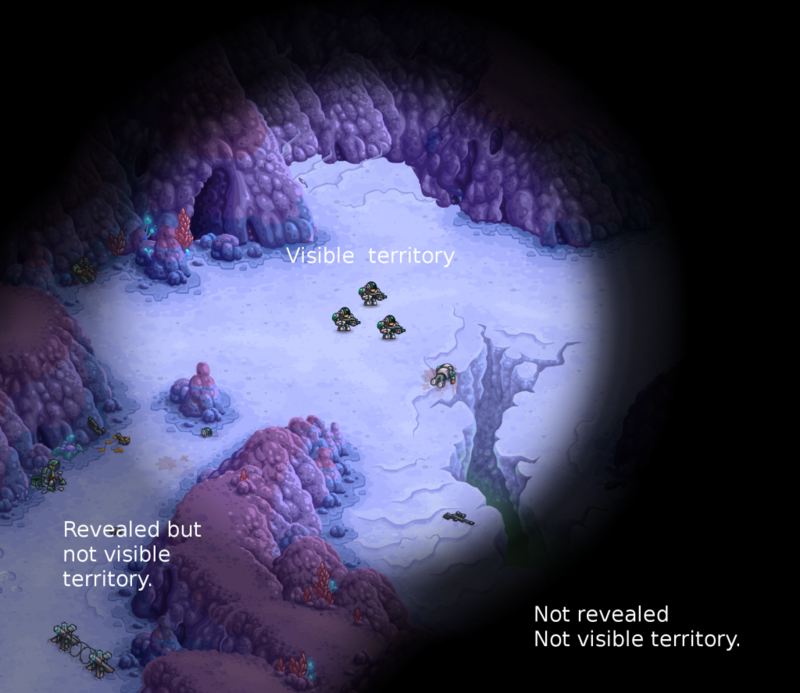 To avoid rendering units I followed a similar approach to what we did for Iron Marines using the GameObject's layer, so if the unit is visible, the default layer is set to its GameObject and if the unit is not visible, a layer that is culled from the game camera is set. 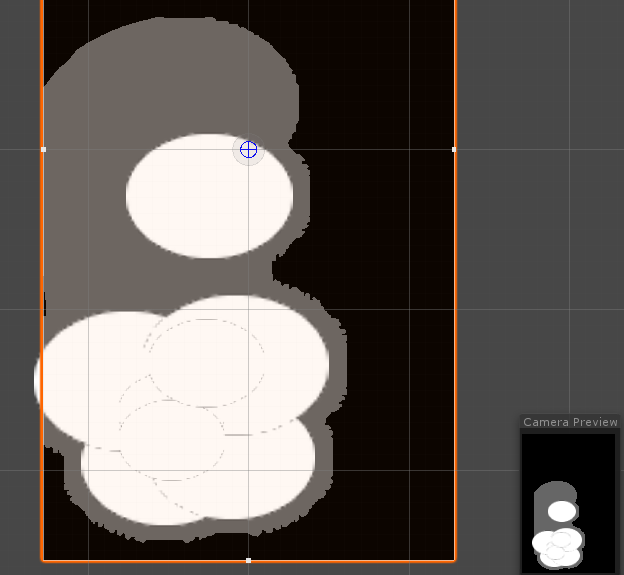 When simplifying the world in a grid and started thinking in terms of textures, it was easier to apply different kind of image algorithms like drawing a filled circle or a line which were really useful when optimizing. 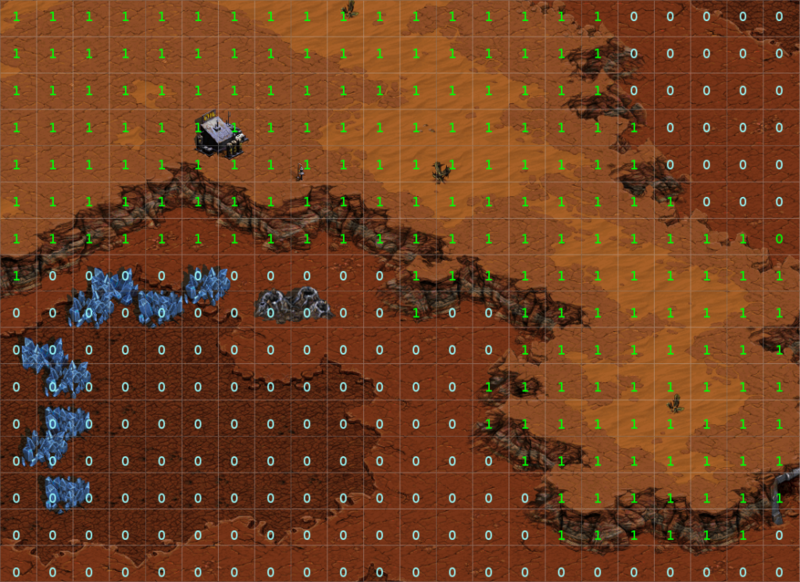 There are even more image operations that could be used for the game logic and rendering. 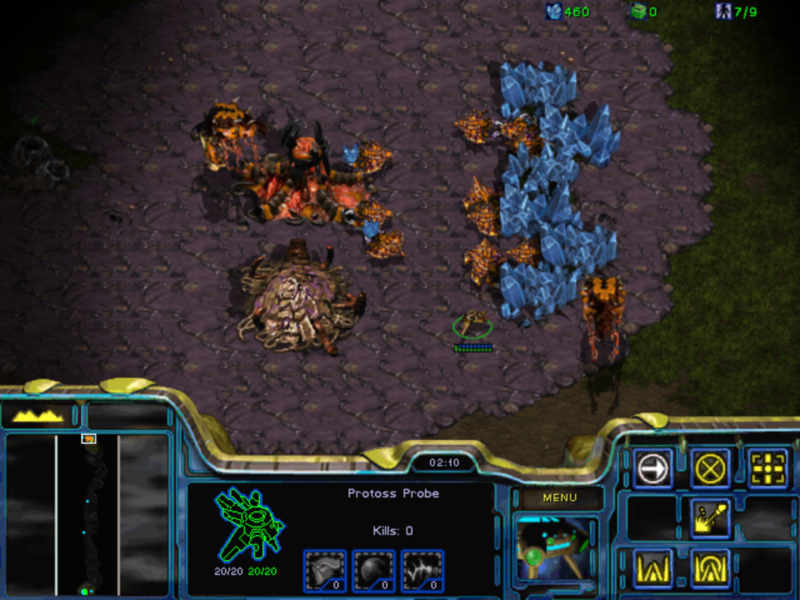 SC2 has a lot of information in terms of textures, not only the player's vision, and they provide an API to access it and it is being used for machine learning experiments. 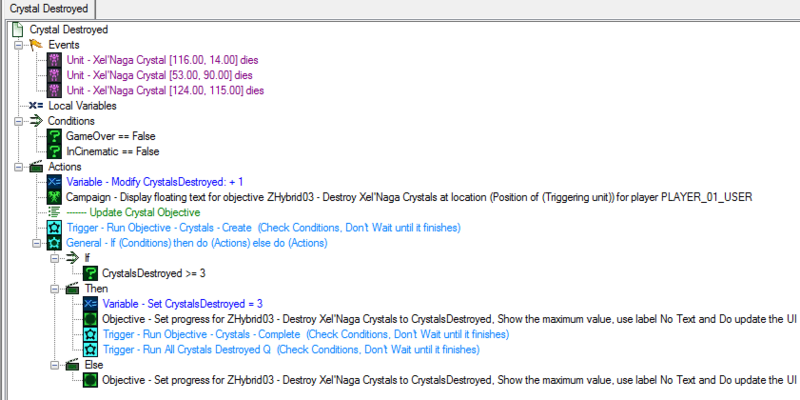 I am still working on more features and I plan to try some optimization experiments like using c# job system. I am really excited about that one but I first have to transform my code to make it work. I would love to write about that experiment. 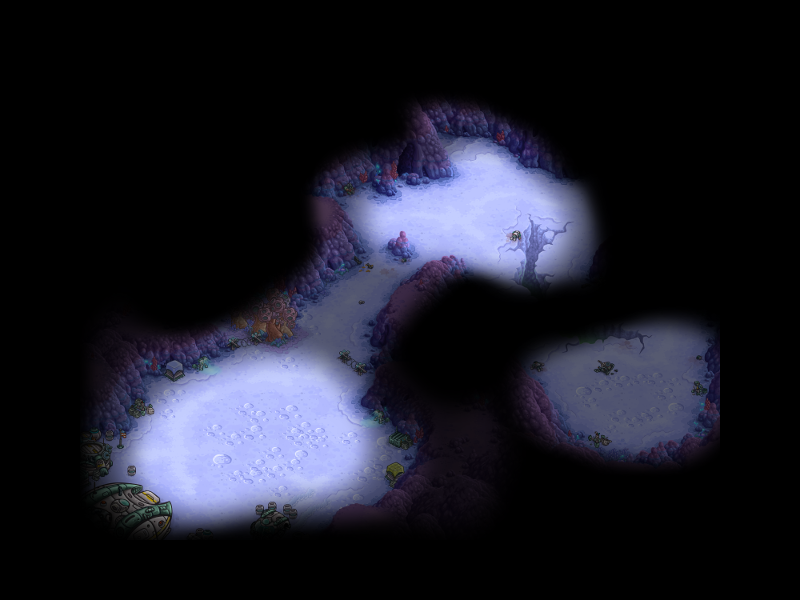 Using a blur effect for the fog texture has some drawbacks like revealing a bit of higher ground when it shouldn't. I want to research a bit of some other image effect to apply where black color is not modified when blurring but not sure if that is possible or if it is the proper solution. One thing that I want to try though is an upscale technique like the one used in League of Legends when creating the fog texture and then reduce the applied blur effect, all of this to try to minimize the issue. 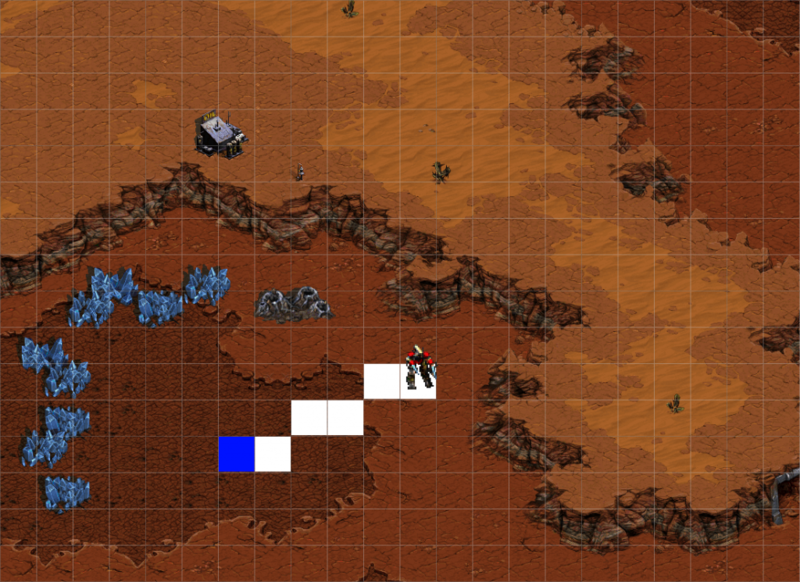 After writing this blog post and having to create some images to explain concepts I believe it could be great to add more debug features like showing the vision or terrain grid itself at any time or showing a line from one point to another to show where the vision is blocked and why, among other stuff. That could be useful at some point. This blog post was really hard to write since, even though I am familiarized with the logic, it was hard to define the proper concepts to be clear when explaining it. In the end, I feel like I forgot to explain some stuff but I can't realize exactly what. As always, I really hope you enjoyed it and it would be great to hear your feedback to improve writing this kind of blog posts. After five years of Global Game Jam vacations, we joined this year’s the last weekend. It was a really enjoyable time and we had a lot of fun. In this blog post I would love to share my experience as some kind of postmortem article with animated gifs, because you know, animated gifs rules. The Theme of this jam was “Waves” and together with my team we did a 1v1 fighting game where players have to attack each other by sending waves through the floor tiles to hit the adversary. Ignacio Fernandez - Audio, he wasn’t part of the team but he helped us. 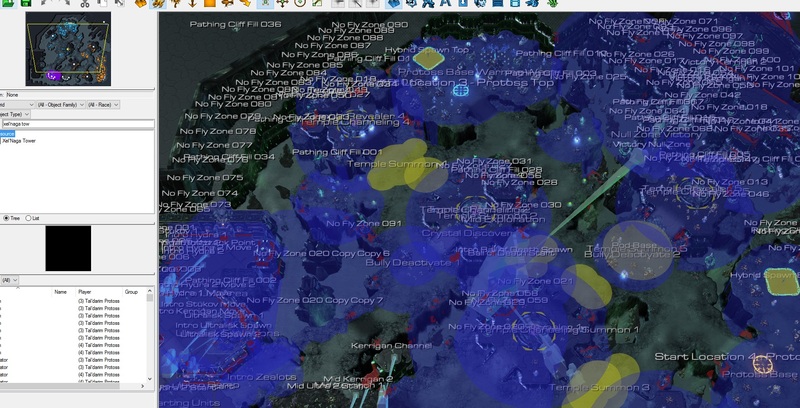 Source code, if you are really thrilled on how we manage to do such a great game. 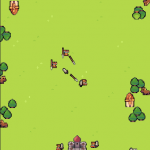 Developing a game in two days is a crazy experience and so much can happen, it is a incredible survival test where you try not to kill each other (joking) while making the best game ever (which doesn’t happen, of course). Here is my point of view of what went right and what could have been better. From the beginning we knew we wanted to complete the jam with something done, and with that we mean nothing incomplete goes inside the game. That helped us to keep a small and achievable scope for the time we had. When brainstorming the game we had luck in some way and reached a solid idea twenty minutes before sharing a pitch to the rest of the jammers, after being discussing by a couple of hours. 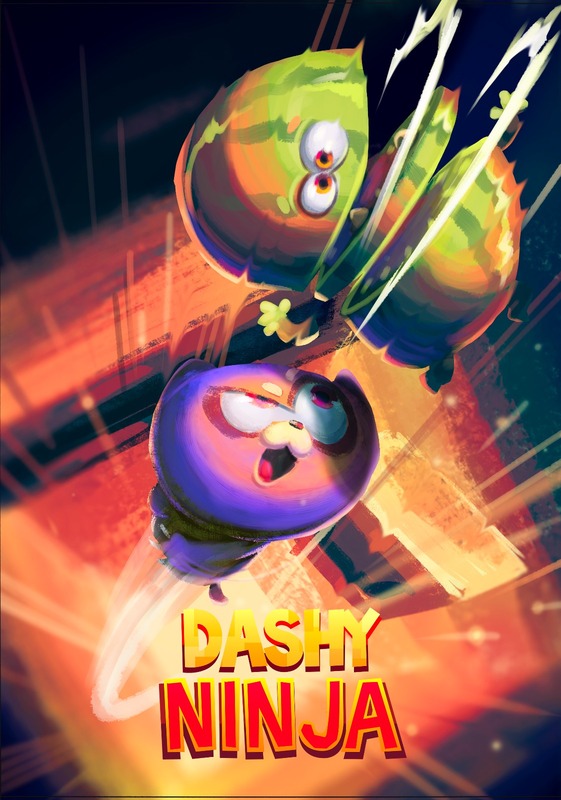 The good part was not only we were happy with it but it also was related with the theme (we wanted to do a beat’em up but we couldn’t figure out how to link it with it). Deciding to use familiar tools like Github, Unity and Adobe Animate and doing something we all had experience in some way helped us a lot to avoid unnecessary complications. I have to mention too that half of the team works together at Ironhide so we know each other well. Our first prototypes, both visual and mechanical, were completed soon enough to validate we were right about the game and they also were a great guide during development. Here are two gifs about each one. Visual prototype made in Adobe Animate. Our artists did a great job with the visual style direction which was really aligned with the setting and background story we thought while brainstorming. If you are interested here is the story behind the game. The awesome visual style of the game. 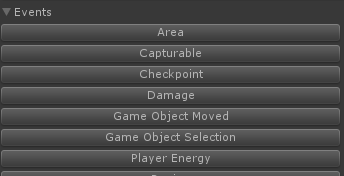 Using the physics engine sometimes seems like exaggerating a bit, mainly with small games but the truth is, when used right, it could help to achieve unexpected mechanics that add value to the game while simplifying things. 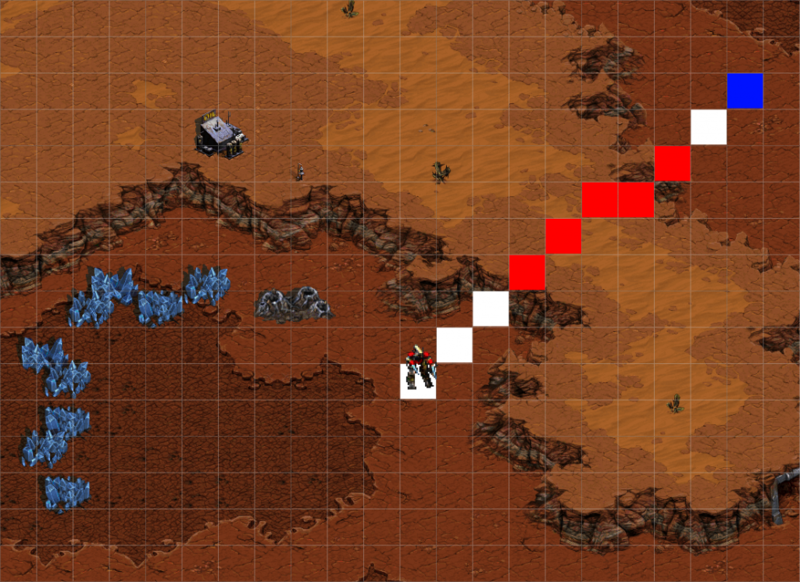 In our case we used to detect not only when a wave hits a player but also to detect when to animate the tiles and it was not only a good decision but also really fun. Animated tiles with hitbox using physics. 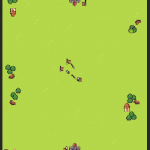 Using good practices like prototyping small stuff in separated Unity scenes, like we did with the tile animations, allowed us to quickly iterate a lot on how things should behave so they become solid before integrating with the rest of the game. Knowing when to say no to new stuff, to keep focus on small, achievable things, even though, from time to time, we spent some time to think new and crazy ideas. Having fun was a key pillar to develop the game in time while keeping the good mood during the jam. We left the sound effects to the end and couldn’t iterate enough so we aren’t so happy with the results. However, it was our fault, the dude that did the sounds was great and helped us because a lot (if you are reading, Thank you!). In the future, a better approach would be to quickly test with sounds like voice made or similar downloaded effects from other games, to give him better references to work with. Not giving room to learn and integrate things like visual effects and particles which would have improved the game experience a lot. Next time we should spend some time to research what we wanted to do and how it could be done before discarding it, I am sure some lighting effects could have improved a lot the visual experience. We weren’t fast enough to adapt part of the art we were doing to what the game mechanics were leading us, that translates to doing art we couldn’t implement or it is not appreciated enough because it doesn’t happen a lot during the game. If we reacted faster to that we could have dedicated more time in other things we wanted to do. Too many programmers for a small game didn’t help us when dividing tasks in order to do more in less time. In some way this forced us to work together in one machine and it wasn’t bad at all. It is not easy to know how many programmers we needed before making the team nor adapting the game to the number of programmers. 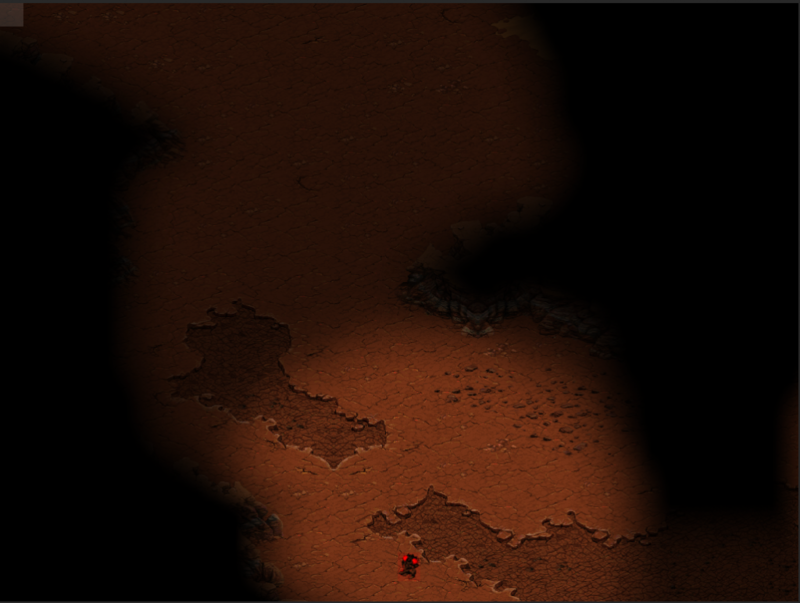 In the end I felt it was better to keep a small scope instead of trying to do more because a programmer is idle. In our case our third programmer helped with game design, testing and interacting with the sounds guy. 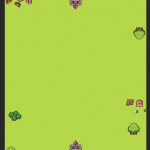 Since the art precedes the code, it should be completed with time before integrating it and since we couldn’t anticipate the assets we almost can’t put them in the game. In fact we couldn’t integrate some. The lesson is, test the pipeline and know art deadline is like two hours before the game jam’s end in order to give time to programmers. Using Google Drive not in the best way complicated things when sharing assets from artists to developers to integrate in the game since we had to upload and download manually. A better option would have been using Dropbox since it automatically syncs. Another would have been forcing artists to integrate them in the game themselves using Unity and Git to share it, but I didn’t want them to hate me so quick so they avoided this growth opportunity. The game wasn’t easy to balance since it needed 2 players in order to test and improve it. Our game designer tried the game each time a new player came to see what we were doing but that were isolated cases. 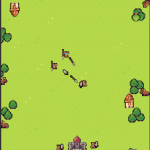 I believe were affected a bit by the target resolution of the first visual prototype in terms of game space which left us only with the wave speed factor but if we changed to too slow the experience was affected. We didn’t start brainstorming fast enough, it was a bit risky and we almost didn’t find a game in time. For the next time, we should start as soon as possible. Some of the ideas we say no because of the scope were really fun and in some way we may have lose some opportunities there. Drinking too much beer on Saturday could have reduced our capacity but since we can’t prove it we will not stop drinking beer during Global Game Jams. Participating on the Global Game Jam was great but you have to have free weekends to do it, for some of us it is not that simple to make time to join the event but I’m really sure it worth it. I hope to have time for the next one and see our potential unleashed again. Until then, thanks my team for making a good game with me in only one weekend. 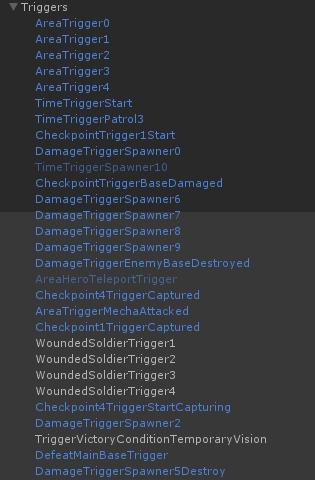 When building a platform for a game I tend to spend too much time thinking solutions for every possible problem, in part because it is fun and also a good exercise and in part because I am not sure which of those problems could affect the game. The idea of this post is to share why sometimes I believe it is better to delegate problems and solutions to the game instead of solving them in the engine. It wasn't bad with the first tests but when I tried to use in a more complex situation the experience was a bit cumbersome since I had more data to store. I even felt like I was trying to recreate a serialization system and that wasn’t the idea of this API. 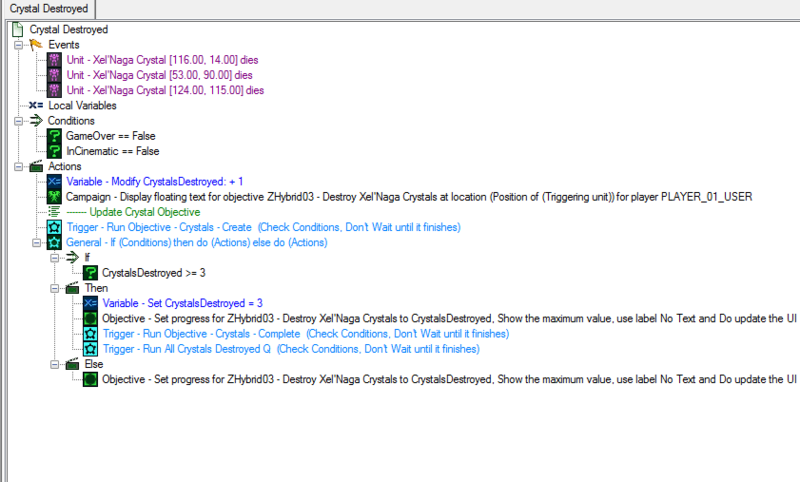 Since I have no idea what the game wants to save or even how it wants to save it, I changed a bit the paradigm. The GameState is now more like a concept without implementation, that part is going to be decided on the game side. 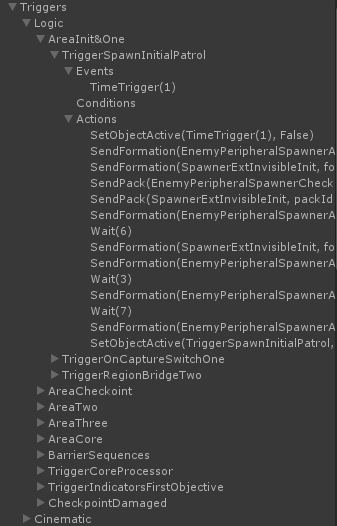 And let the game decide how to save its own game state even though the engine is responsible of how and when that interface is used to perform some task. 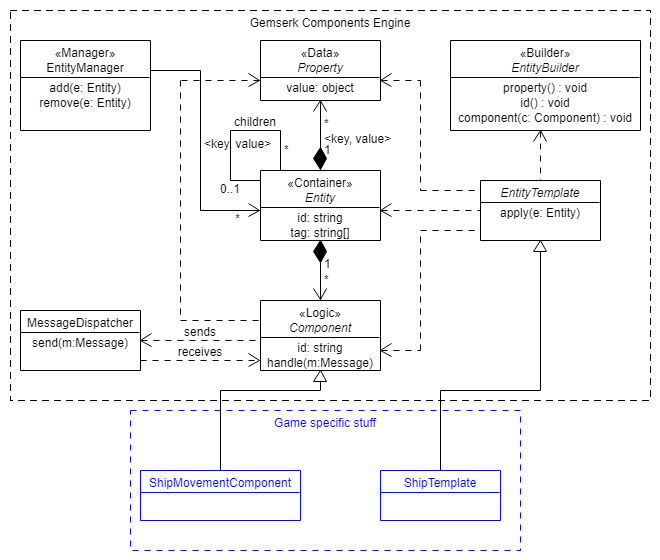 In the end, the platform/engine ends up being more like a framework, providing tools or life cycles to the user (the game) to easily do some work in a common way.